If you go into a bet armed with information to make a good choice, it's not a gamble, it's a sensible stake. Sports betting doesn't need to be a minefield because The Betting Corner can help you make a sensible stake. Sports betting doesn't need to be a minefield. If you go into a bet armed with information to make an educated choice, it's not a gamble, it's a sensible stake. With BookieSmash, enter the world of sports betting and see how you can identify value and get a great return. Football, and in this case we're not talking about the NFL, throws up some changes that are entirely to be expected, and some that are not. If you can understand why some calls are more or less obvious than others, you can begin to see where the best-value bets are. That's why every week we look at the things that came as no surprise, and at what caught people off guard in the Premier League Expected/Unexpected. Check out the things that surprised everyone and adapt your betting accordingly. A bet that we do think is worth making is on Ingolstadt — a new team in the Bundesliga. In preseason, a lot of predictions are made, and while some of them turn out to be correct, other times there are pleasant surprised. Unfortunately for fans of Chelsea, the team's current on- and off-pitch problems are not pleasant at all. While it's possible Jose Mourinho's team returns to its best and wins the Premier League again this season, striker Diego Costa seems to be affected by the change in fortunes of his club, and that's why in our opinion betting on him is no longer good value. We've looked at other preseason bets you'd be best to avoid, which you can read about here. A bet that we do think is worth making is on Ingolstadt — a new team in the Bundesliga — potentially taking points off Borussia Dortmund, the eight-time winner of the title. The promoted team is a hard-working group that has made steady progress through the divisions and is well-financed by car manufacturer Audi. With this game taking place early in the season, and with Dortmund still getting acquainted with a new coach, a good return is certainly a possibility here. For all your Premier League betting needs, we have our weekly round-up of top bets and picks from the English top-flight, with a full breakdown of which players will be missing, who the key performers are likely to be, and how you can win when you bet on these matches. Take a look and enjoy your bets. We also have two strategy articles that will shed light on football and cricket in a new way. We delve into the football transfer market, looking at the different kinds of football transfer that you should expect to see between now and the closure of the transfer window. We also look at the different kinds of cricketer you will see on a team, and how each player can carry a different betting benefit for you. Want to stay atop all the latest in the world of betting? If so, make sure to get BookieSmash updates on your social media outlets. 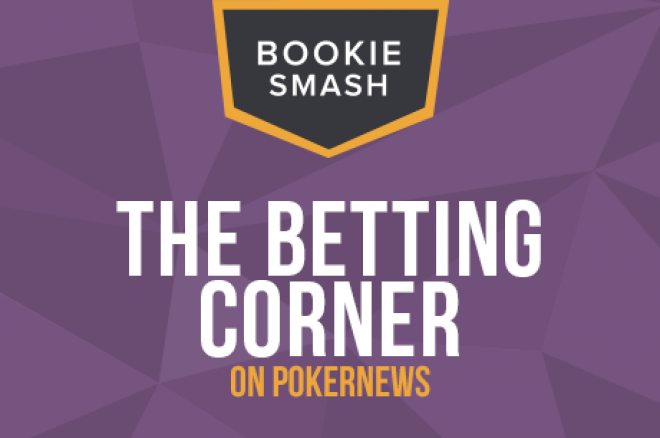 Follow BookieSmash on Twitter and like them on Facebook. The Betting Corner: Are You Ready For NFL Season?